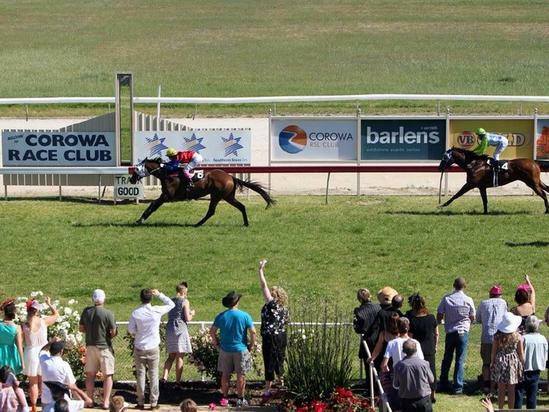 Corowa racing on Tuesday, June 12 to 7 event card run under fine conditions to track is currently rated a good (4) with the rail position in the true. Ruby Skye will compete in race 4 on the program with Jake Duffy aboard the runner third up from a spell when competing in the Campbell's wines class 2 handicap over a mile from Barrier nine. Third-up. First-up slowly away and checked near 200m; eased back early on 5th of 13 runners at Wagga F&M (Bm63) Apr 15 over 1300m, 2-1/4 len behind Dutchesse Moshe carrying 55.5kg. Second run from a spell 6th of 14 runners at Wodonga Hcp (58) May 19 over 1590m, 1-3/4 len behind Makfi Lass carrying 58kg. Best of luck to connections.